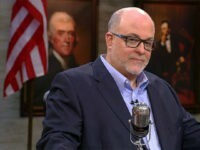 Crowdfunding is a great liberal idea–that might just be the saving of conservatives. So crowdfunding, for those who don’t know–and many conservatives don’t–is a new way of funding a creative project if you want to record an album, publish a book, put on a play, make a podcast, produce a movie or documentary, or basically any artistic endeavor. If you can’t get funding from an established record company, studio, theater, or publisher, you go to one of the crowdfunding sites, put up your pitch, and ask the public to fund your artistry. The idea is that crowdfunding allows the artist to bypass the establishment gatekeepers – go straight to the public and give the public true art. And so far it has worked well. Kickstarter, one of the first and most prominent crowdfunding sites, has so far raised over $1 billion for projects. This is money that goes straight into the hands of artists (minus the commission of around 5 percent taken by the sites) so that the artist can create. Liberals were the early adapters to crowfunding–which is probably not surprising because they dominate the arts. Kickstarter and other sites are dominated by projects supporting the usual liberal causes. There are, of course, a lot of nonpolitical projects, but where there is politics it is almost exclusively left-wing. These projects encompass the usual topics: America is horrible, America is really really horrible, horrible America is full of really horrible people, etc., etc. Crowdfunding is also losing its slightly grungy, left-wing feel to become a solid establishment left-wing playground. Spike Lee–despite owning a Manhattan home valued at $32 million and a house in the Hamptons–decided that he needed to go on Kickstarter to fund a movie. He raised $1.4 million, which came through in suspiciously large chunks that suggested it was more rich friends helping another rich friend than a grassroots revolution. There is another reason that liberals have taken to Kickstarter and conservatives have been slow to adapt. Liberals are politically inclined towards collectivism. They like groups–they love protesting, doing things, and joining up, whereas Conservatives are politically more individualistic–they want to be left alone, they don’t want to be part of a group (except maybe for their family), and they don’t like crowds telling them to do anything. However, crowdfunding represents an opportunity for conservatives. On the liberal side it’s difficult to really point to any new ideas or artistic movements that have come out of crowdfunding. Rather than create original ideas, crowd funding has just opened a different method of funding for the same old ideas. According to Kickstarter, ten percent of the movies shown at Sundance this year were funded through the website. Now I didn’t see all the films that were premiered at Sundance (I don’t get paid enough–possibly no one gets paid enough for that), but I think its pretty safe to say that they were fairly standard liberal creations. This is where conservatives should spot an opportunity. Their ideas are not permeating the artistic community; their films are not being made, and the gatekeepers are really busy ensuring that the gates are closed to such ideas. So conservatives now have an opportunity to take the means of production and make a product, and as the means of distribution become more and more diverse, then there are more and more opportunities to tell the stories that are important. Of course, it’s never that easy. We successfully crowdfunded our last film, FrackNation–the truth about fracking–through Kickstarter. So we thought it would be the ideal venue for our new film about Philadelphia abortionist Kermit Gosnell. He is currently serving several life sentences for murdering babies at his clinic. According to a grand jury report, he murdered hundreds of babies by inducing labour when women were seven or eight months pregnant and then stabbing the live, viable babies in the neck to kill them. He was at this for 40 years and probably killed thousands in his killing career. He is America’s most prolific serial killer. So we submitted our pitch for GosnellMovie.com as usual, but Kickstarter kept delaying and delaying, and then Kickstarter tried to censor us. They said we could only put the project on the site if we agreed not to upset the sensitivities of their community. “Script looks good, but phrases like ‘1000s of babies stabbed to death’ and ‘1000s of babies murdered’ will need to be removed or modified to comply with the spirit of our Community Guidelines,” they told us. We viewed Kickstarter as a public trust, this is a place of opportunity for anyone to make their thing happen and it’s our jobs to be the stewards of it and to honor it… a living, breathing cultural institution that’s there to represent the interests of everybody. Well, apparently he wasn’t quite telling Rose the truth! So we put GosnellMovie.com on the alternative Indiegogo site. They don’t censor… yet. In just a few days we have raised $200,000. The Gosnell movie will be made. Crowdfund it and they will come. Phelim McAleer is a journalist and filmmaker. 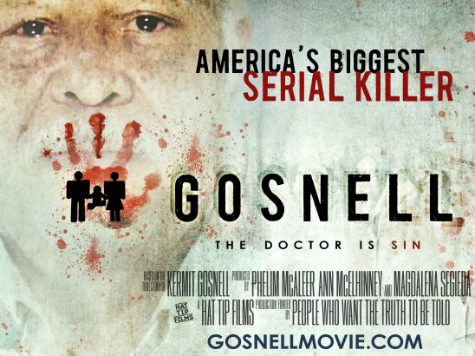 You can help fund his latest film Gosnell – The True story about America’s biggest serial killer at GosnellMovie.com.